This will be a short post – which on my past form might run to 1000 words – but I will try to be brief. There has been a bit of a Twitter flutter tonight as someone has spotted a case due to call tomorrow at Glasgow Sheriff Court for an “Options Hearing”. RANGERS FOOTBALL CLUB PLC v THE WEATHER LOTTERY PLC is the case, as shown at No 8 on the Options Hearing list. Please note that the link will probably expire after tomorrow as the Scottish Court website, an invaluable resource, does regular “house keeping” to remove old court lists. Some observers seem to think that this is another action against Rangers, but I have to disappoint those readers by confirming that this is NOT the case. 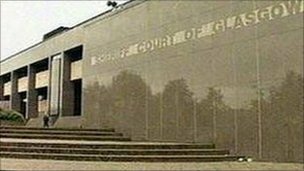 Tomorrow Rangers, represented by Debt Recovery experts, Yuill & Kyle, have a case calling in Glasgow Sheriff Court. An Options Hearing is a procedural step in the case where the Sheriff will look at what both parties say and decide if more time is needed for preparation of the case, if there are legal arguments to be dealt with or if the case needs to be sent for a full hearing of evidence at a later date. The Weather Lottery is a fundraising organisation who won the contract to run RAngers online lottery last August. Clearly something has gone wrong, allegedly, with the deal at an early stage, as the action probably was raised in around June this year. All that can be assumed is that the action will be for more than £5,000. Whilst the court hearing is public, I would only recommend spectators attending if in need of a cure for insomnia. Lawyers discussing the finer technical points of their written cases is less than scintillating, even for lawyers! Do you have Trouble Collecting Bad Debts? I am sure Rangers are happy to have such a successful Debt Recovery lawyer on their side.